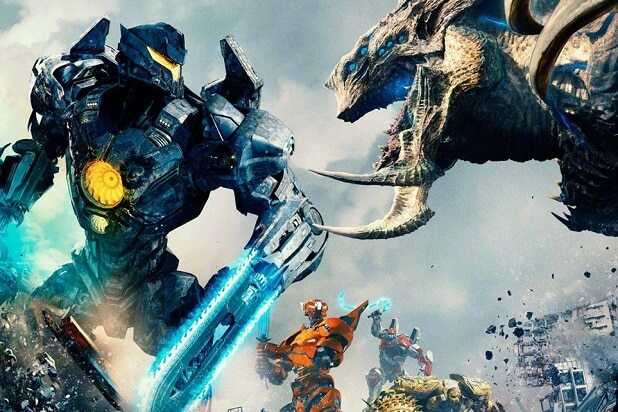 Universal/Legendary’s “Pacific Rim: Uprising” took the top spot at the box office this weekend with an estimated $28.5 million from 3,704 screens. That’s down 23 percent from the $37.2 million its Guillermo del Toro-directed predecessor made in 2013. While that result is on the upper end of pre-weekend projections, the John Boyega-fronted blockbuster was going to need a lot more to make back its $150 million production budget. But “Uprising” has performed well in Asia, as the film opened day-and-date in 61 markets for a global start of $150.5 million. It has received a mixed reception, though, with a 46 percent Rotten Tomatoes score and a B from opening night audiences on CinemaScore. China, where the film is being distributed by Legendary East, is the top market worldwide for the film with $65 million, matching the opening made by “Black Panther” in that country. China also contributed roughly half of the film’s $15 million global IMAX gross, its biggest March opening in that market. Korea and Russia are the top markets for Universal, with $6.9 and $6.8 million respectively. In del Toro’s home country of Mexico, where the first film opened to $5.5 million and made $16.1 million overall, “Uprising” got off to a $4.9 million start. 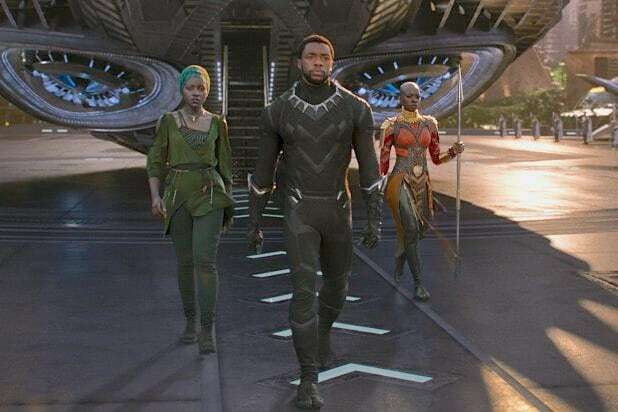 Back in the States, “Black Panther” took second place with $16.7 million, but Disney and Marvel Studios won’t worry too much about having its No. 1 streak snapped at five weekends. With this result, “Black Panther” is now the fifth-highest grossing film on the domestic charts, passing “The Avengers” and “Star Wars: The Last Jedi” with $631 million. That makes it the highest grossing superhero movie in domestic box office history. Worldwide, the film now sits No. 12 on the all-time charts, passing the totals earned by “Iron Man 3” and “The Fate of the Furious” this weekend with $1.237 billion. Last year’s remake of “Beauty and the Beast” is next with $1.26 billion, followed by “Frozen” in tenth place with $1.27 billion. In third is Roadside Attractions/Lionsgate’s faith-based film “I Can Only Imagine,” which continues to do well on Palm Sunday weekend with $14 million, just an 18 percent drop from its opening weekend. Based on the true story behind MercyMe’s hit Christian rock single of the same name, the $7 million film now has a 10-day total of $38.4 million, and should continue to perform above its weight class on Easter weekend, as Roadside has expanded the film’s screen count to 2,253 locations. On the other side of the spectrum is Paramount/MGM’s “Sherlock Gnomes,” a $59 million animated sequel which has fallen flat with just a $10.6 million start from 3,662 screens. Greenlit before the arrival of current Paramount CEO Jim Gianopulos, “Sherlock Gnomes” barely took the No. 4 spot over fellow MGM production “Tomb Raider,” which made $10.1 million in its second weekend for a $41.4 million 10-day total. In ninth is Global Road’s romance “Midnight Sun,” a film acquired by Open Road Films before its merger with IM Global last October under Tang Media Group. It opened to $4.1 million from 2,173 locations. Finally, there’s Steven Soderbergh’s latest film, “Unsane,” a thriller filmed on an iPhone that cost only $1.5 million to make. Released by Bleecker Street, it has posted the worst opening of Soderbergh’s career, grossing just $3.9 million from 2,023 theaters. The only undisputed success among new domestic releases this weekend is Fox Searchlight’s “Isle of Dogs,” the new stop-motion film from Wes Anderson. Releasing on 27 screens in six cities this weekend, it has set the new bar for per screen averages this year, making $1.6 million for a PSA of just under $60,000.